It is well known that the energy sector has generated a major volume of high-stakes international disputes in recent years. The massive investment needed to explore for, produce and transport energy regionally and globally, combined with the fiscal importance of such projects to investors and governments alike, create innumerable situations in which conflicts may arise at all stages of an energy project’s life cycle. The damages claimed in such disputes are often in the hundreds of millions (if not billions) of US dollars. Yet the diversity of energy projects themselves as well as the sui generis nature of many individual conflicts preclude a “one size fits all” approach to damages in energy disputes. Instead, careful attention and creative thinking are required in each case. This conference brings together leading figures from the global spectrum of high-stakes energy disputes, including in-house counsel from major international companies, quantum experts, advocates and arbitrators, to discuss damages issues in panels focusing on the key sub-sectors of oil & gas, electricity, LNG and renewables, respectively. The keynote speech will address the critically-important question of “What the arbitrator expects from quantum experts in energy disputes”. •Upstream oil & gas projects invariably involve massive, high-risk investments, with many projects failing and the successful ones being heavily prone to opportunistic behaviour by host States and commercial parties alike. •The panel will address damages claims arising from expropriations and related government measures, disputes under joint operating agreements and between working interest owners, and emerging issues resulting from the shale revolution and the new oil price environment. Quantum issues to be covered will include sunk costs, minimum-investment obligations, cash calls, reserve and production analysis, cost and commodity-price modelling, and tax and royalty factors, among others. Panel: Damages issues in electricity-related arbitration: from construction to operation of generation, transmission and distribution assets. •Power generation and transmission systems are large-scale, costly engineering assets whose ultimate profitability may only emerge over decades. •The panel will first explore damages issues in the construction phase. In addition to the usual issues of delay, cost and termination, errors and changes in design may have significant cost and operating implications. If the asset fails to perform as expected, performance damages may follow. •Once operation commences, the long-lived nature of power generation assets means that the environment that guided the initial decision may not endure: changes to regulatory frameworks, relative fossil fuel prices, PPAs and renewables technology may challenge the assumptions underpinning the assets’ business case and the design of the markets in which they operate. •Disentangling causation and liability after the investment has been brought into operation while holding “all else equal” can be challenging in an industry that exhibits considerable uncertainty, potentially both about the past and the future. • LNG projects are infrastructure-intensive, with train facilities needed to process and liquefy gas,supply contracts needed to receive the feedstock, storage capacity and port terminals for loading the LNG, offtakers/vessels for transportation, a receiving terminal at the destination for discharge and re-gasification, and connected to a storage and pipeline distribution network to distribute the natural gas to local distribution companies or independent power plants. • This panel will consider quantum and pricing issues that may arise in the context of price-adjustment clauses, government disruption of gas supply, premature depletion or degradation of gas supply, upstream issues, offtake or supply disputes claims against terminal operators for breach of service agreements or seeking additional throughput capacity, disputes over “use or pay” terminal services obligations, customer to customer disputes, and pricing and shipping disputes. • Most current disputes related to renewables arise from changes in regulatory frameworks, as investments incentives and subsidies were scaled back. • How important were “feed-in” tariffs and other incentives at the outset of investments in renewable energy assets? • Breach of FET clauses and indirect expropriation: how can economic experts help assess reasonable investors’ expectations, and determine unfair regulatory conduct and deprivation of the use and benefit of an investment? • Value drivers of power-generation assets: which parameters “move the needle” in terms of valuation of renewable assets? Main considerations from a damages assessment perspective. Craig Miles is a Partner in King & Spalding’s International Arbitration Group in their Houston office. His practice focuses on representing foreign investors in disputes with host governments, primarily before the World Bank’s International Centre for Settlement of Investment Disputes (ICSID) and private parties in commercial disputes before the International Chamber of Commerce (ICC), the American Arbitration Association (AAA), and other domestic and international arbitral institutions. Mr. Miles has first – or second – chaired dozens of arbitral hearings involving disputes throughout North and South America, Europe, Asia, Africa and the Middle East with particularly strong experience in bilateral investment treaty (BIT) disputes in the oil & gas, mining and infrastructure sectors in Latin America. Mr. Miles is also regularly called upon to handle the quantum aspects of clients’ most significant disputes. Among his recent cases are some of the largest BIT awards and settlements ever obtained by foreign investors, against the likes of the governments of Argentina, Bolivia, Ecuador, Egypt, Romania, and Venezuela. Miguel Nakhle is a Senior Vice President at Compass Lexecon, based in their Houston office. He has more than ten years of experience performing economic and financial analysis in sectors including oil & gas, power generation, mobile telecommunications, consumer products, utilities, railways, hospitality, and mining with emphasis in developing countries. Mr. Nakhle has provided written and oral expert testimony, and managed treaty and commercial arbitration engagements under ICSID, UNCITRAL, ICC, LCIA, and other venues, as well as U.S. litigation proceedings. He has been involved in more than 30 international arbitration cases related to investments in such countries as Algeria, Bolivia, Canada, Croatia, Hungary, Spain, Ukraine and United States. Mr. Nakhle worked as a consultant to the Ministry of Foreign Affairs of Japan on damages assessment issues related to investor-state disputes. Kaj Hobér is currently Professor of International Investment Law and Trade Law at Uppsala University, and an Associate Member of 3VB Chamber in London. Until 2014 he was a Partner for twenty years at Mannheimer Swartling. Prior to that he was a Partner at White & Case. He is involved in numerous oil and gas arbitrations, relating primarily to Northern Africa, the Middle East, and the former Soviet Union. Prof. Hobér has acted as counsel and arbitrator, including chairmanships in more than 400 international arbitrations, including representation of the claimants in the first ECT award, and is participating in numerous ongoing investment arbitrations. He is past chair of the IBA sub-committee on Investment Treaty Arbitration and the author and editor of several books on international arbitration as well as numerous articles on international arbitration, Russian, Soviet and East European law and investment an trade law. José Alberro co-heads Cornerstone Research’s International Arbitration and Litigation practice. He has acted as both an ICSID arbitrator and a damages expert in high-stakes international arbitrations involving investor-state and commercial disputes on four continents. He is a sought-after authority who has been named a thought leader and a quantum of damages expert by Who’s Who Legal. Dr. Alberro brings a unique multifaceted perspective from his years as a tenured university professor, a high-level government official, and the CEO of a company with sales of $10 billion. His expertise focuses on applied economic and financial modeling across a variety of industries with particular depth in oil and natural gas, mining, petrochemicals, consumer goods, industrial inputs, telecommunications and other network industries. Arif Ali is a Partner and Co-chair of Dechert’s International Arbitration practice. He divides his time between the Washington, D.C . and London offices. Mr. Ali has served as lead trial counsel in international investment, commercial and construction arbitrations under many of the major international and regional arbitral regimes covering a broad range of industries and economic activity, including foreign direct investment, privitizationt, the construction, operation and commercialization of thermal ,nuclear, and hydro-power plants; oil and gas pipeline construction and concession-related matters; mining concessions; gas pricing disputes; natural resource exploitation projects and contracts; the development and operation of tourism and hospitality projects; project finance and development agreements; contract stabilization and renegotiation issues; patents and trademarks, Internet governance and top-level domains; and information technology-related disputes. He has represented parties from the United States, Canada, Central and South Asia, America, Europe, the Middle East, Africa, and across Asia. He frequently sits as an arbitrator in a wide variety of international commercial, construction (industrial and civil) and investor-state disputes, involving the governing laws of different jurisdictions and under various institutional regimes. As part of his dispute resolution practice, Mr. Ali has also advised clients on risk mitigation and dispute avoidance strategies, and assisted clients in structuring resolutions to high-value and complex disputes. Natasha Ashby is the Vice President of Law and Corporate Affairs for Atlantic LNG Company of Trinidad and Tobago. She has responsibility for the company’s legal affairs, including legal advisory services, management and oversight of contracts and regulatory compliance, and governance and risk management. Derrick Carson is a Partner in the Houston office of Locke Lord. He is the Chair of the firm’s Construction Law Practice Group, Deputy Chair of the firm’s Energy Disputes Practice Group, and a member of the firm’s Board of Directors. Mr. Carson has a global dispute resolution practice, primarily representing clients in the energy, petrochemical and construction industries. His arbitration experience includes international matters where has represented clients before a host of international arbitral bodies on issues as diverse as development of oil and gas fields, pipeline and offshore rig construction, maritime matters and other contractual disputes. 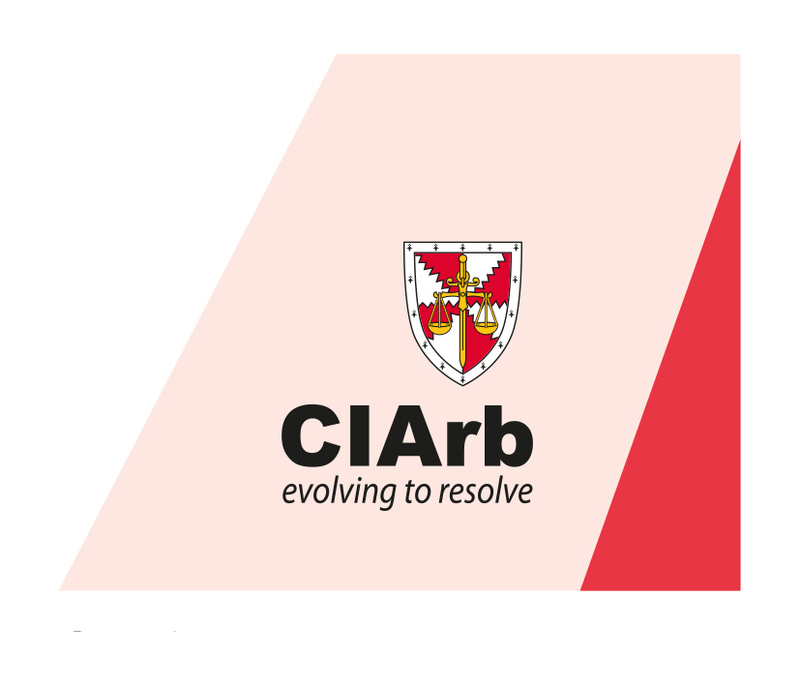 He is a Fellow of the Chartered Institute of Arbitrators and has previously served on the Executive Committee of the CIArb’s North American Branch. Manuel Conthe is a Spanish international arbitrator. He is both a lawyer and economist, with strong expertise in finance and economics, damage calculations, energy and electricity markets, company valuations and M&A transactions. He is a member of the panel of experts of PRIME Finance. From late 2009 up to March 2015 he worked as Of-Counsel at Bird & Bird in Madrid. Before, he was chairman of Spain’s Securities & Exchange Commission (CNMV) (2004-2007), Vice-president for Finance in the World Bank (1999-2002), Deputy Minister of Economy and Director General of the Treasury and Financial Policy in Spain (1988-1996). He was also briefly economic and financial consultant (2002-2004). Daniel Flores is a Managing Director and head of the Washington, D.C. office of EconOne Research. Dr. Flores has spent the past 22 years teaching, conducting research and consulting in the field of economics. His research and consulting activities have included analyses of the economic effects of regulation, anticompetitive conduct and contractual disputes in a variety of industries, including agriculture, chemicals, construction materials, electricity, finance and banking, minerals and mining, oil and gas, pharmaceuticals, real estate, semiconductors, telecommunications and transportation. Dr. Flores’ practice areas encompass international arbitration, damages, valuation, and energy. He has testified as an expert economist in state courts as well as before arbitral tribunals constituted under the rules of ICSID, ICC, UNCITRAL, and IACAC. Oscar Garibaldi is an independent arbitrator. He set up his practice after retiring from Covington & Burling. His work has been devoted to international arbitration and other forms of resolution of international disputes. He concentrates on international arbitration both investment and commercial. Mr. Garibaldi served as lead counsel in the representative of subsidiaries of Exxon Mobil Corporation in a ICSID arbitration against the Bolivian Republic of Venezuela and in an ICC arbitration against Petróleos de Venezuela S.A. He has training in the common las, civil law, and public international law. Justin Jacinto is a Partner in Curtis, Mallet-Prevost, Colt, & Mosle’s International Arbitration group. He practices in the Washington, D.C. and London offices. His practice focuses on investment treaty arbitration, international commercial arbitration, and public international law disputes. Mr. Jacinto also has experience with project finance and development matters. He has served as counsel to States, national oil corporations, sovereign wealth funds and other state-owned entities, and private companies in arbitrations under institutional and ad hoc arbitration rules including those of ICSID, ICC, UNCITRAL, and LCIA. Mr. Jacinto has acted in investment and contractual disputes across a wide range of sectors, including oil and gas, mining, telecommunication, transport, and banking and financial services, and has particular expertise in disputes relating to divestitures, exploration and production sharing agreements, concession agreements and licensing matters, and in international tax disputes. Colin Johnson is a Vice President in CRA’s Energy Practice. He has more than 20 years of experience in the energy and infrastructure sector with a particular focus in the power, oil and gas industries. Mr. Johnson has international experience in analyzing, negotiating, and managing major energy projects and has worked in Europe, North America, Latin America, Africa, the Middle East, and Asia. He has acted on behalf of national governments, large companies, and entrepreneurs in international arbitrations and litigation as an expert witness for a variety of cases ranging up to US$50bn+ in claim value. David Kay is a Partner at Tenor Capital and the Founder and Portfolio Manager of the Tenor International and Commercial Arbitration Funds. Previously, Mr. Kay was an investment banker at Jeffries & Company responsible for analyzing and facilitating corporate restructurings with emphasis on advising distressed corporate clients and their creditors in large, multifaceted transactions. Mr. Kay also worked as an attorney at Akin Gump Strauss Hauer & Feld LLP in the Financial Restructuring Group where he focused on advising creditors’ committees and bondholder committees in complex corporate restructurings, both out of court and in Chapter 11. Mr. Kay currently serves on multiple boards for companies in the mineral, mining and energy industries. Benno Kimmelman is a Partner and co-leader of Sidley Austin’s global International Arbitration practice. He acts as lead counsel in complex commercial and investment treaty disputes under all the major international arbitration rules and serves as an arbitrator in international and domestic disputes. Mr. Kimmelman also represents parties involved in litigation in aid of the arbitration process, such as compelling parties to arbitrate and enforcing arbitration awards. He was the lead counsel for a national oil company in two arbitration (ICC and LCIA) relating to a failed joint venture to construct and operate a gas-to-liquids project in the Caribbean. Both arbitrations resulted in awards in favor of our client that were then confirmed by a federal court in New York. Mr. Kimmelman serves as a Director of SICANA, Inc. (the U.S. affiliate of the ICC International Court of Arbitration) and the New York International Arbitration Center (NYIAC). He is a member of the ICC Commission on Arbitration and ICC Latin American Arbitration Group. Mr. Kimmelman is a member of the Executive Advisory Committee for CPR International Institute for Conflict Prevention and Resolution and the former chair of the International Commercial Disputes Committee of the Association of the Bar of the City of New York. He is a former chair of the Arbitration Committee of the United States Council for International Business (the ICC National Committee for the United States). Brian King is a Partner in the international arbitration group in Freshfields’ New York office. Prior to this, he headed the international arbitration group in the firm’s Amsterdam office for seven years. He focuses his practice on commercial and treaty arbitration and is recognized as a “global player” in the field. Mr. King has acted as counsel or arbitrator in more than 100 institutional and ad hoc arbitrations, including two of the United States’ largest investment arbitrations to date. He has particular skill and experience in the energy, construction and natural resources sector. Alexis Maniatis is the President and Chief Executive Officer of The Brattle Group and leads the firm’s International Arbitration practice. Mr. Maniatis has more than twenty years of experience providing consulting and expert witness testimony and advising clients on valuation and damages issues in expropriations, contract disputes, competition-related litigation, asset and merger transactions, and regulatory proceedings. He has addressed issues including development of expected cash flows, discount rates, control premia, country risk adjustments, prejudgment interest, and interpretation of acquisition transactions and publicly traded company values. Mr. Maniatis has submitted expert reports and testified on damages issues in proceedings before federal, state, and bankruptcy courts and before international and domestic arbitration panels. Timothy G. Nelson is a Partner in Skadden, Arps, Slate, Meagher & Flom’s New York office. He represents clients in a variety of disputes involving cross-border and international law issues, including arbitrations before international bodies such as the American Arbitration Association/International Centre for Dispute Resolution (ICDR), the International Chamber of Commerce (ICC), the International Center for Settlement of Investment Disputes (ICSID) and tribunals constituted under the Arbitration Rules of the United Nations Commission of International Trade Law (UNCITRAL). Mr. Nelson regularly advises sovereign and corporate clients on public international law issues including under multilateral treaties such as NAFTA bilateral investment treaties (BITS); and other international trade/investment agreements. He successfully defended Atlantic LNH Co. of Trinidad and Tobago against a $250 million claim by an affiliate of Gas Natural Fenosa in a UNCITRAL arbitration based in New York, involving a dispute concerning a long-term LNG supply contract with favorable merits and fees awards in October 2016 and March 2017. Michael Nolan is a Partner in Milbank, Tweed, Hadley & McCloy’s Washington, D.C. office. He is a member of the firm’s Litigation and Arbitration Group. Mr. Nolan has represented clients in U.S. federal and state courts and before arbitral tribunals in all manner of complex disputes, including general commercial, securities, intellectual property, tax and insolvency cases. His practice has a particular focus on international arbitration and transnational litigation. Mr. Nolan has served as counsel or arbitrator in cases under AAA, ICC, HKIAC, SIAC, ICSID, UNCITRAL and other rules. His arbitrations have involved electricity, gas, transportation and mining concessions; joint venture and management agreements; satellite and other insurance coverages; construction; energy distribution; and intellectual property patents and licenses. He has represented both investors and states in arbitrations pursuant to bilateral treaties and the Energy Charter Treaty. George D. Ruttinger co-chairs Crowell & Moring’s International Dispute Resolution Group and is also a Partner in the firm’s Government Contracts Group. He is located in the Washington, D.C. office. Mr. Ruttinger has represented domestic and foreign clients in international arbitrations before tribunals of the International Chamber of Commerce, Stockholm Chamber of Commerce, Netherlands Arbitration Institute, Permanent Court of Arbitration, and the World Bank’s International Centre for Settlement of Investment Disputes. He represented a Canadian mining company in arbitration against the Government of Mongolia claiming unlawful expropriation of a valuable uranium mine. In March 2015, a distinguished tribunal of arbitrators issued an Award finding that Mongolia had unlawfully expropriated the mine in violation of the Energy Charter Treaty and Mongolian foreign investment law. In March 2016, the parties agreed to a US$70 million settlement of this long-running dispute. James Searby is a Senior Managing Director in FTI Consulting’s economic and financial consulting practice, specializing in the assessment of quantum issues in contentious matters, in both litigations in national courts and international arbitrations. Mr. Searby’s primary expertise is in the field of valuation, whether of businesses, contracts, damages, intellectual property or financial assets. He has a broad range of experience in the assessment of complex damages in high-value international arbitration and litigation cases in matters involving, inter alia, alleged expropriation, breach of contract, patent infringement and shareholder disputes. The range of Mr. Searby’s industry experience encompasses telecommunications, oil and gas, chemicals, tobacco, infrastructure, healthcare, media, life insurance, retailing and banking. He has worked in EMEA, North America, and the Asia Pacific region for governments, companies, and individuals, whether as claimants or respondents on matters ranging in value from less than US$1million to more than US$2 billion. In April 2015, Mr. Searby moved to Washington, D.C. to lead the build-up of the International Arbitration practice in that region. Richard Sieracki is the Co-Chief Executive Officer of the Kenrich Group. He has consulted for Fortune 500 companies and others including electric utilities, construction contractors, architects, engineers and project owners, manufacturers, insurance companies, and various entities including state agencies. Mr. Sieracki’s extensive experience on both damages and delay analysis has primarily been focused in the construction, electric utility, and government contract industries. His experiences includes work on numerous power plant projects, shopping centers, hotels and condominium projects and other facilities, including prisons and waste water treatment plants. Mr. Sieracki has testified as an expert witness in various state and federal courts in arbitration, and has presented damage and schedule delay analysis in formal mediation and other alternative dispute proceedings. He has also consulted to companies on techniques to avoid disputes and to minimize the impact of existing disputes. Reginald R. Smith is a Partner in King & Spalding’s Houston office. He heads the firm’s Global Disputes practice which coordinates the international arbitration, cross-border litigation and investigations and contentious international trade practices. His litigation experience involves a diverse range of international arbitration and complex business disputes. Mr. Smith has extensive experience in representing clients in international commercial arbitration and cross-border litigation cases, as well as investors in disputes with foreign governments over illegal expropriations and other improper interference with investor rights under bilateral and multilateral investment treaties. He has served in numerous international commercial as well as investment arbitration disputes. Mr. Smith has also represented claimants in seeking recognition and enforcement of international arbitration awards, as well as in seeking discovery in the U.S. courts in aid of international arbitration proceedings. Carlos Solé is a Partner responsible for Economics and Regulation in KPMG’s Madrid office. He joined KPMG in 2010 coming from the National Energy Commission in Spain. Since then he has been responsible for the creation and development of KPMG’s Economics & Regulation department in Spain having built a team of highly specialized consultants and a leading practice in the sector that has provided in recent years agents of the energy sector. Value-added services such as: design of regulatory proposals, market analysis, economic impact assessment, regulatory compliance, independent expert reports, and regulatory due-diligence in the electric and hydrocarbon sectors. Pablo T. Spiller is a Senior Consultant at Compass Lexecon. He is also the Jeffrey A. Jacobs Distinguished Professor Emeritus of Business and Technology at the Haas School of Business, University of California, Berkeley; Research Associate at the National Bureau of Economic Research; and the former President of the International Society for New Institutional Economics and an elected member of the Board of Directors of the American Law & Economics Association. Dr. Spiller has written extensively on regulatory, antitrust, and institutional issues, having published more than 130 academic articles and 10 books. Dr. Spiller has also extensive consulting and expert testimony experience, having testified in more than 130 litigation and international arbitration cases, involving both treaty and contractual disputes rendering opinions on damages, contract interpretation and regulatory issues in a variety of sectors throughout the world. He has testified in jurisdictions such as the ICSID, ICC, LCIA, and AAA. He has also consulted extensively with the World Bank, United Nations, and the Inter-American Development Bank as well as governments and privates companies. Dr. Spiller was the Editor-in-Chief and Associate Editor of the Journal of Law, Economics, and Organization for 19 years, and held multiple Editorial appointments at a variety of academic journals. He was also the Chair of the Business and Public Policy group at the University of California, Berkeley for five years, and, on leave from Berkeley, has been a Special Advisor to the Director at the Bureau of Economics of the US Federal Trade Commission. Earn 6.5 hours New York State Continuing Legal Education credit hours (transitional and non-transitional) in the Areas of Professional Practice. The room block at the preferred conference rate is for the nights of November 29 and November 30, 2017. Cut-off date for room block is November 3, 2017. SUBJECT TO AVAILABILITY. 6 March 2018 - Washington Plaza Hotel - Washington, D.C.